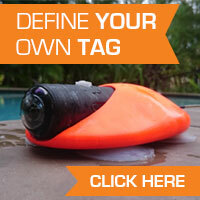 The CATS-Cam (CC) is the flagship of our product line. If you want to record a whole suite of parameters with the latest in sensor technology and want to have it verified by HD video recording, then the CATS-Cam is what you are looking for. Acting as another sensor, the video recorder is controlled intelligently by all other onboard sensors, recording what you are most interested in and when you want it. It includes sensors for light, pressure, acceleration, compass, gyroscope and many more, sampling at rates of up to 1600Hz. Whether you work with terrestrial, avian or marine animals, we can customize the CATS – Cam exactly to your needs. Just contact us! The latest development of our innovative workshop is the versatile CATS-GSM (CG). It combines the advantages of a typical remote download tracker with the size and flexibilty of a small retrievable data logger. In fact, it is both. In addition it usually comes equipped with solar cells, which can extent your deployment period up to years. Our new data reduction algorithm allows you to record high sampling rates (e.g. dive depth), reduce it through onboard statistcs in order to send the pre-defined summary via SMS to your CATS – webportal. However, if you can retrieve the CATS-GSM, you can download the data. We are able to use a variety of sensors for you to pick from and weight starts from a mere 25g. The revolultionary CATS-Flight-Diary (CFD) has probably become the most advanced recording device available for wildlife researchers. It has been developed to analyse super-fine-scale movement. It includes everything the reseracher desires, and not only for avian research. It contains a barometer (20cm resolution), a 9-axis Inertial Measurement Unit (IMU) sampling up to 800Hz, a pitot sensor (air-pressure), a high-sensitivity temperature sensor (measures changes of a degree in a fraction of a second). It includes a high-precision GPS module sampling of up to 10Hz (RAW). When used in combination with our highly advanced CATS-Visualizer Software (in development) all the movements will be re-created for you in 3-D, without the need for months of analysis. Again, like all our devices, it comes with solar cells, making long deployments via duty-cycling possible. As with the CATS-Diary the new CATS-Visualizer tool makes analysis much easier by letting you recreate all recorded sensor values graphically. Among the smallest, commercially available, high-res data loggers world-wide, the CATS Mini Diary (CMD) is, like its larger sister, a highly customizable sensor board. However, due to its extremely small form factor, it can be deployed on very small animals . It can be equipped with the sensors of your choice, whether pressure and GPS, compass or all together. It is ultra power-efficient and hence can be delivered from 6g upwards. In addition, the new CATS-Visualizer tool makes analysis much easier by letting you recreate all recorded sensor values graphically. Depending to its application the CMD too may need a customized float and attachment, which will, as always, specifically designed for you by us. The CATS-Diary (CD) is the universal name for our highly customizable sensor board. It can be customized to suit your exact requirements and thereby reducing the size and weight to a minimum. It can be equipped with the sensors of your choice, whether pressure and GPS, or speed and compass or all together, just let us know and we will try to match your requirements in the smallest design possible. In addition, the new CATS-Visualizer tool (in development) makes analysis much easier by letting you recreate all recorded sensor values graphically. Like all our devices, they can be populated with solar cells for longer deployments. The CD usaully requires a customized float and attachment, which CATS is specialized to do just that. The ultimate device for remote monitoring coming out of our workshop is the CATS-SATag (CS). Although it has its size limits (30g upwards), it certainly will give you a worldwide coverage via satellite directly to your laptop while online. Whether on a Dugong or Elephant, it has the ability to record at high-sampling rates any sensor data you want to include, store the raw data for later potential retrieval, but send an on-board calculated statistics of them for you to download from the CATS-webportal. Naturally, the position will be included. You even have the possibility to send commands to your CATS-SATag (e.g. collar-release) when necessary.